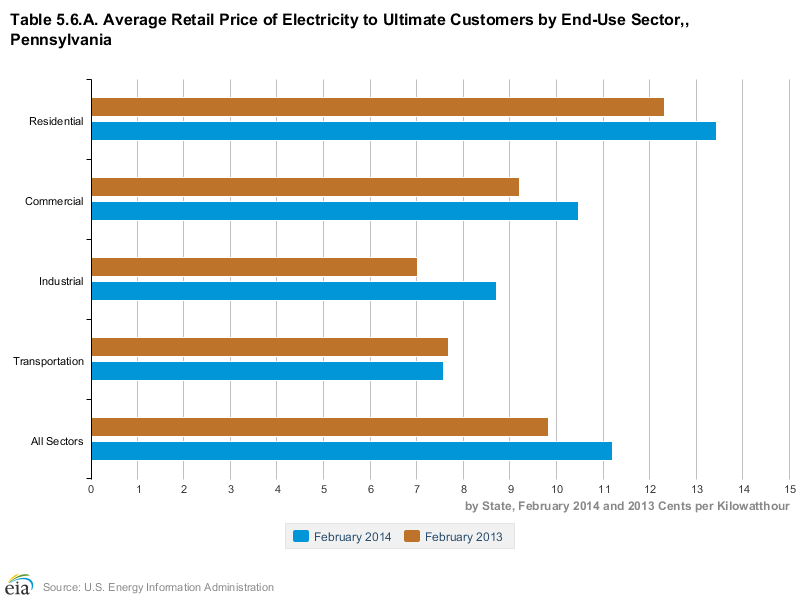 Electric cost comparisons between February 2013 and February 2014 in Pennsylvania. According to statistics from the United States Energy Information Administration (EIA), between February 2013 and February 2014, residential electric costs have risen approximately 2% across the country. In Pennsylvania, residential electric costs have costs have risen even more, by approximately 9%. 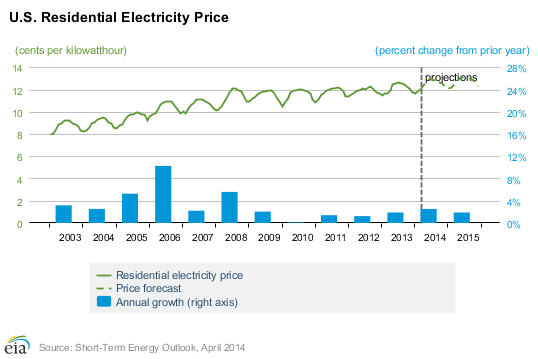 And, these increases in the cost of electricity are no fluke. According to more data from the US EIA, electricity costs have been on the rise and are expected to continue to rise into the future. Electric prices have steadily been on the rise and are expected to continue to rise. Due to these increases in the cost of electricity, it has become imperative that homeowners look for options to cut the cost of their electric bills. One such method to cut electric bills is to invest in ENERGY STAR® certified homes. ENERGY STAR is a United States Environmental Protection Agency (EPA) voluntary program that helps businesses and individuals save money and protect the environment through superior energy efficiency. 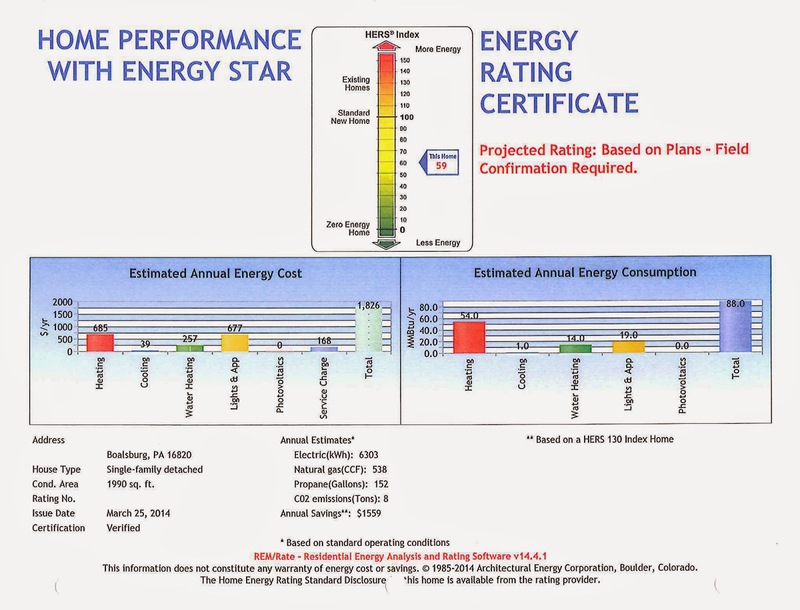 The savings that homeowners get back from ENERGY STAR certified homes is real. According to its 2012 Annual Report, the EPA's Office of Atmospheric Programs stated that in 2012 homeowners living in ENERGY STAR certified homes saved over $500 million dollars on their utility bills. Torron Group has seen the savings that ENERGY STAR certified homes can provide for homeowners first hand. For instance, Torron Group is currently constructing an ENERGY STAR certified home in Springfield Commons, a Torron Group development located in Boalsburg, Pennsylvania, that could provide an estimated annual savings of $1,559 on the owner's utility bills. And as energy prices continue to soar, this savings becomes even more dramatic. We can all find ways to use that money other than giving it to our local energy providers. So the question is, why aren't more builders building homes and commercial offices to ENERGY STAR standards? We should all reduce our carbon footprints, and if we save money in the process, isn't that a good thing?